​the Holy Bible and the Savior. It Is The Sweetest Name I Know"
The ladies of Berean took Pastor Milbry's 'better half' to Carrabba's Italian Grille in celebration of her special day. ​Good food & fellowship... We all had a wonderful time. surprised ​the congregation with his singing skills. Pastor Milbry has completed taking us through The Book of REVELATION. ​God's Word & The Gospel of Jesus Christ. Berean Is Spreading God's Word thru Social Media! 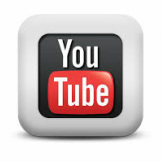 See All The 2014-2017 Sermons on YouTube!